I have created a petition about something that I feel strongly about and it has been weighing on my mind since October 2012. Please take some time to read it, sign it and share it with others. Note: This aids you in sending an email to your representatives in Congress and the President. If you are not living in the United States, unfortunately, it won’t allow you to participate. 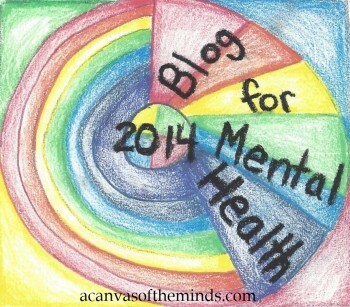 Mental Illness Awareness Week Being Observed in 2013! With recent events, there has been talk about changing policies regarding to mental illness and how it is handled and dealt with in America. Topics like having a national registry for guns, making it easier to find help, increasing the amount of psychiatric beds available, special training for teachers, doctors, nurses, EMTs, firemen, etc. and others have been discussed. However, the real problems are underneath all of this. We need to educate people about what mental illness is and where they can go to get help. We need to let people know that getting help for a mental illness does not mean that you are a failure or will be judged by others resulting in possibly losing their job or friends. We need to take steps to erase the stigma so that people who need help are not afraid to get help. We need to observe Mental Illness Awareness Week in 2013. We need to use this week to help raise awareness, take steps to erase the stigma, and educate people what they can do if they need help or feel a loved one needs help. The media and politicians like to say they are doing things to help, but in reality many people are afraid to really address the issues because they are afraid they will say the wrong thing. This needs to change. Please come up with a plan of how you and your state can observe this week. Take advantage of an opportunity to talk about mental illness at a time where it is not for political gain or in response to a national tragedy. The NFL observes Breast Cancer Awareness Week. There is no reason why organizations like the NFL can do similar things for Mental Illness Awareness Week. Mental Health Awareness Week in the US 2013 begins on Sunday, October 6 and ends on Saturday, October 12 in 2013. You have plenty of time to create a plan. So, make it happen. You could not only be helping to raise awareness, but save lives, literally.